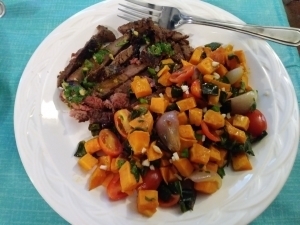 The chimichurri sauce over the steak gave it an interesting new flavor that I would never have considered using before. The veggie jumble, as always, is a favorite in our house. I enjoyed experimenting with several ingredients I’d never heard of before. 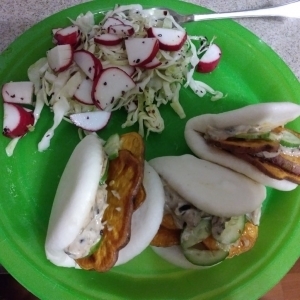 The flavor was pretty good, and the bao are fun to eat. 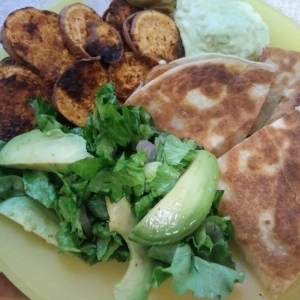 These sweet potato quesadillas are flavorful and delicious. 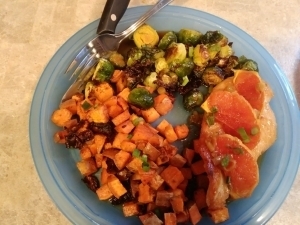 You can’t go wrong with this Blue Apron meal kit. Yum! 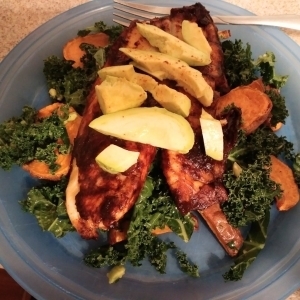 I would never have guessed that sweet potatoes, kale, and tilapia would come together to form a really tasty meal. Surprise! It was very good! 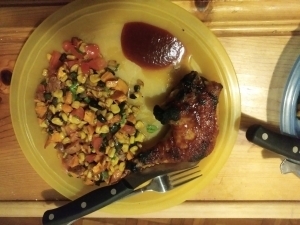 The Hello Fresh Hot Honey Barbecue Chicken with charred poblano, corn, and sweet potato salad was a major hit with us.